Written by Ralph Murphy — Every year I look at what's just happened at #1 on the Billboard Charts to get a snapshot of what's trending....fascinating as always! Let's look at intros first. If a song has an intro, then it's probably intended for radio. The interesting thing is that 8 of the 9 #1 songs have a average intro length of 10 seconds. Only one, Taylor Swift, "Bad Blood" had a "zero start" (no intro), and that song is only 85 BPMs, so it was kind of aimed at radio. Swift's other #1, "Blank Space," was close BPM-wise at 86 BPM. Length of Time to the Pronoun "You"
Structure is very important, simply because the consumer expects to receive their information in a certain way. All songs are different, but within a particular genre, they tend to be similar in structure...such as Pop, Country or Country Airplay records. So, of the nine #1 songs on the Billboard Hot 100, five were fourth form (verse, verse, pre-chorus, chorus, verse, pre-chorus chorus, middle 8, chorus, out). That structure seems to fit the listeners expectation in Pop. Then there were three #1 songs in third form (verse, chorus, verse, chorus, middle 8/breakdown/instrumental, chorus out). Let's take a look at Justin Bieber. He has a 14 second intro, and a very European approach as he starts with the chorus. But it's also 125 BPM, so it's trying to be all things to all people by adding in radio as well as dance. Adele also mixed forms....the very cool fifth form (a,a,b,a) is mixed in with the fourth form to really maximize the title "Hello". After the obligatory two verses starting with the title there is a small prechorus/bridge/lift before what should have been viewed as a bridge....it's in this case treated as a chorus. There is also a "breakdown" or "middle eight" which uses the word "anymore" which is the last word of the bridge/ chorus just to further the illusion of fourth form. The writers generally obey the "two minute rule" in more traditional song structure, but "call and response" features much more heavily in the songs, as Pop aims at the Dance market a lot. "Events" seem to happen musically about every 10 to 15 seconds. The BPM are important to what the song means to the consumer. If a song is more that 100 BPM, then the listener is probably dancing. Under 100 BPM, the listener is probably sitting in a car, office, home. Less that half (four) are in the 80 BPM range and five are over 100 BPM: 113-125. Only one song that achieved the #1 position on the charts had a fade. That means, in brief, that the songs were designed as singles. Generally when a producer is making an album he/she will fade the song in order to wean the listener off that song and move them along to the next song on the album/EP. When it's intended as a single, you don't want the listener moving along, so you annoy them, make them feel cheated by "dead ending" it. 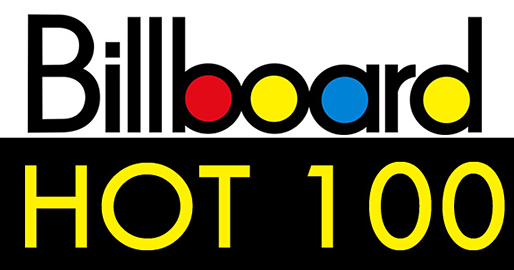 Seven of the nine number one songs on the Billboard Hot 100 Chart reach the title before the one minute mark...including intro. "The Hills" by the Weeknd only uses the title in the middle 8/bridge and of course Taylor Swift in "Blank Space" waits until 1:25 to use the title. In most cases the listener expectation is that the writer creates an expectation and fulfills it in 60 seconds. Unlike the Country genre, Pop deals more equitably with female artists. Three of the nine number ones are written in part and performed by women artists. Unfortunately, when it comes to the "writer" part, those artists are the only two females who wrote on number one songs in a total of 33 writers. So, if you want to write a #1 Pop Billboard Chart record...and remember these were the #1 hits of last year. This is the consumer speaking, not me! Have an approximately 9 second intro. Use the pronoun "you" within 21 seconds or sooner. Use detail to invite the listener in...and tell them how good/bad that "you" is. As all the nine #1's are aimed at radio, whether streaming or not, dancing or not, get to the first use of title in one minute or less and have a dead end. If you're aiming at under 100 BPM, all of them were between 80 and 86 BPM. Write a hit...seeya on the Charts! Again, I would like to thank Anna White, Holly Chester, Suzanne Lee and the ASCAP interns, Katherine Ross, Andrew Anto and Sara Barron who helped to compile the mountain of data needed for me to distill this down to a few page...I certainly couldn't do it without you all! Ralph Murphy is an acclaimed Nashville songwriter whose decades-long career has featured multiple number one hits. An devoted mentor to songwriters, his recently book Murphy's Law of Songwriting has become a music industry bible and an invaluable tool for many music creators. Lecturing worldwide, he will be hosting his much in-demand Murphy's Law of Songwriting panel at the 2016 ASCAP EXPO.